Today for writing, we had a challenge to complete. The challenge was to place colons into sentences that were missing them. Your job was to place them into the correct spots. Although a lot of people do not know how to correctly use these pieces of punctuation. So what Miss Kirkpatrick kindly did was link a video that described how they work. An example would be: I love watching superhero movies: Spider man is the best. Once we had completed this challenge, we had a follow up task. Our follow up task was to illustrate one of the many sentences we had to fill in. We all had half an hour to draw any image that resembled the sentence we chose. Along with this image, we also had to come up with an explanation explaining why the colon was where is was. This was a fun challenge to complete. Although there were some parts that stumped me, I worked my way through it. 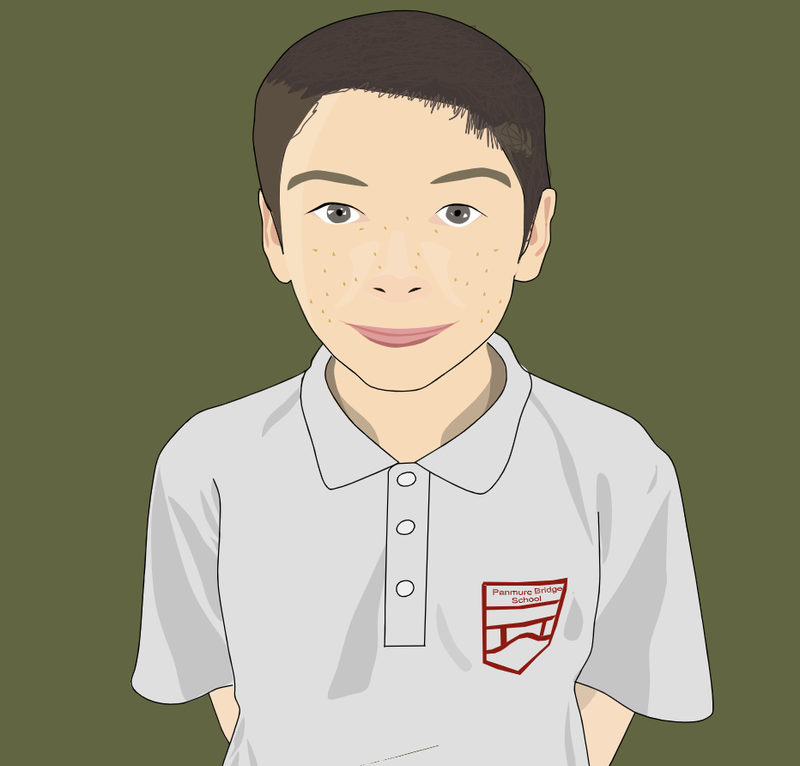 I do hope that we can get another exciting task next week for writing. The colons are missing from these sentences. Please add them in. There are two choices at this time: run away or fight. Remember: Two can play at that game. Barry wanted to know why I didn’t respond to his text: I hadn’t received it. Here are three states that begin with M: Michigan, Mississippi and Maine. You can come pick me up now: I am feeling much better. Never forget this point: Think before you speak. This house has everything I need: two bedrooms, a backyard and a garage. The town reminded me of my childhood vacations: both were on the beach. I have several favourite genres of movies: drama, science fiction and mystery. I bought a lot of meat at the store: bacon, turkey, chicken and tuna. 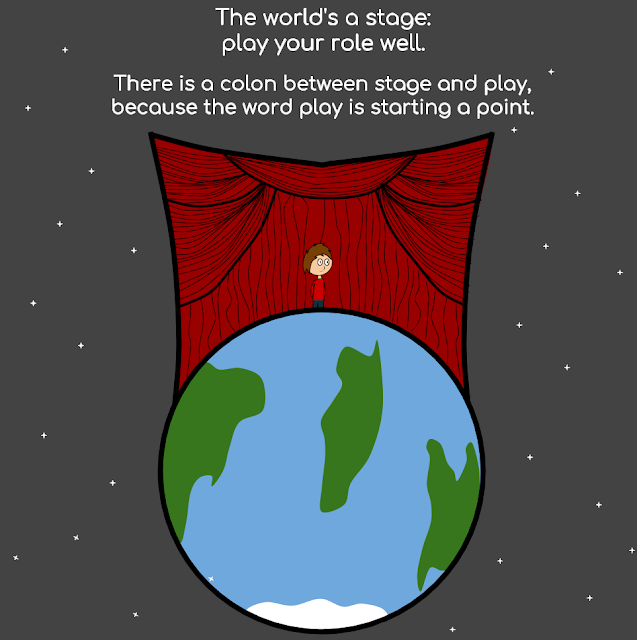 The world's a stage: play your role well. The new boss has many nice traits: friendly, outgoing and fair. These are my favourite colours: purple, turquoise, pink and yellow.